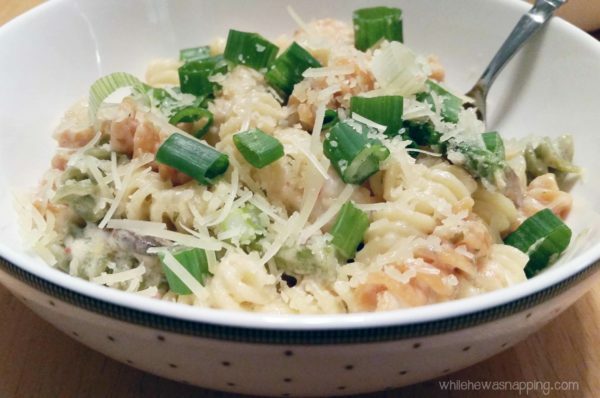 A delicious seafood meal the whole family will love. Take dinner to the coast tonight! In a pot, boil water for the pasta. Cook the pasta as directed on the box. 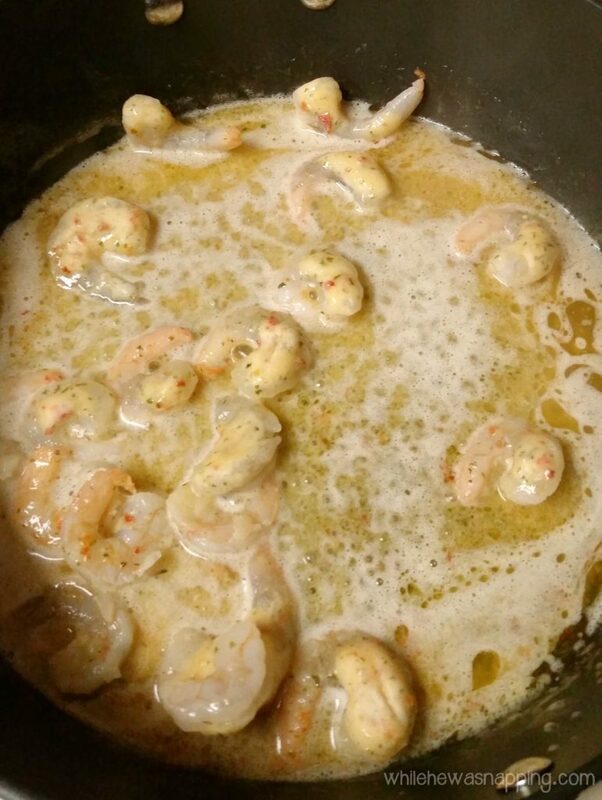 Cook the shrimp scampi according to the package directions - I used the saute method on the stove. 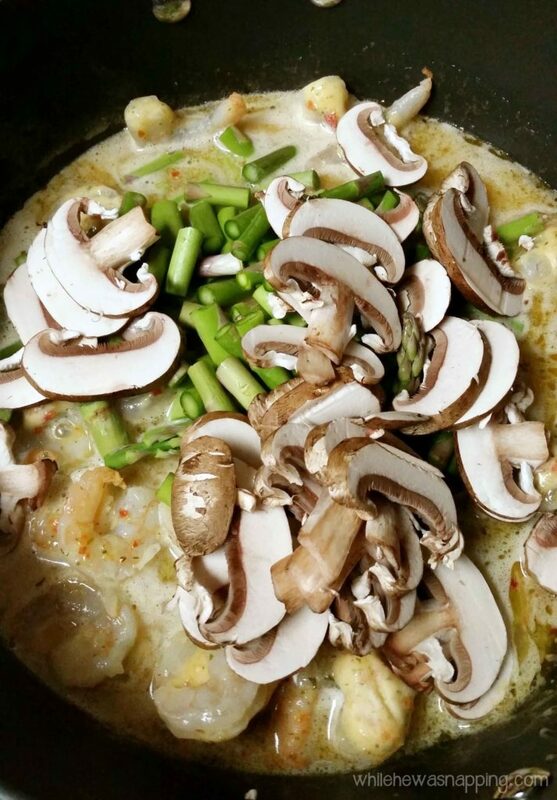 Once the shrimp scampi sauce is in liquid form, add the veggies. 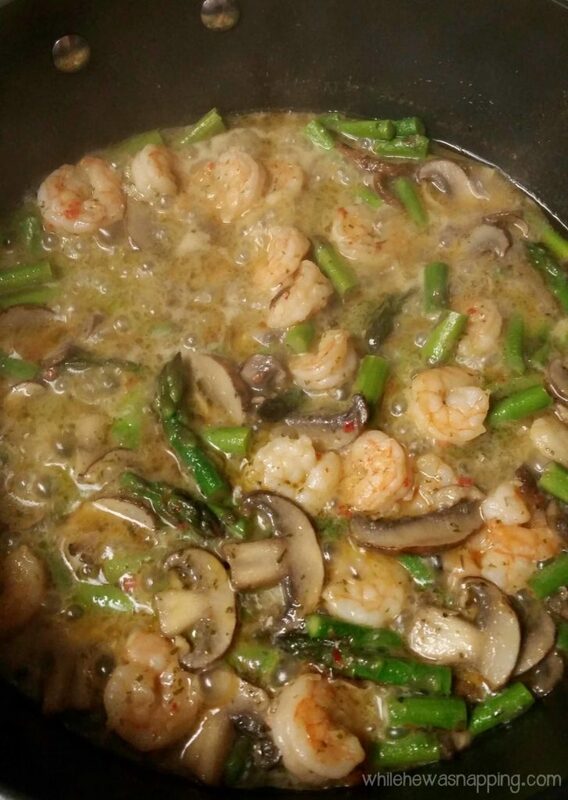 Saute the sliced asparagus and sliced mushrooms with the shrimp for 10-15 minutes or until tender. 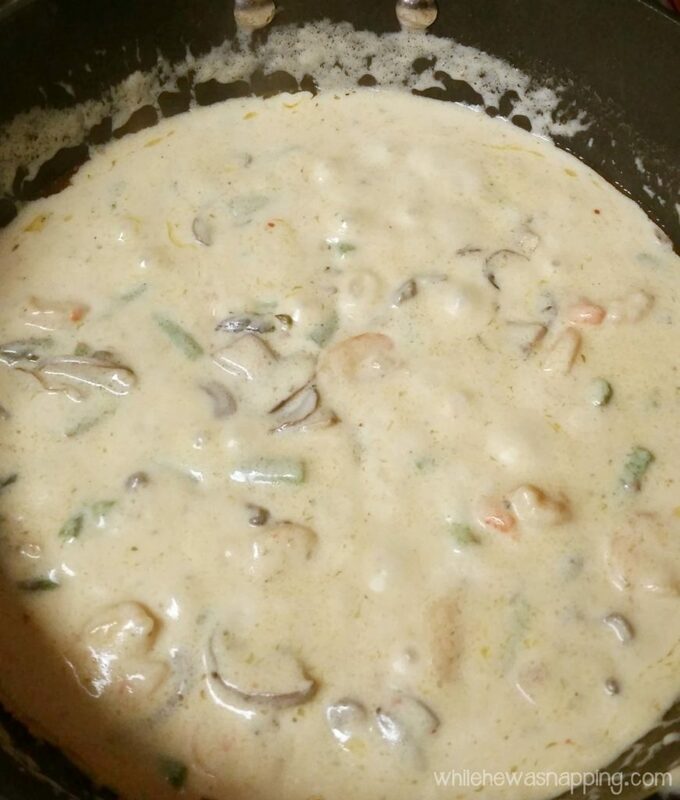 Add the alfredo sauce, parmesan cheese and lemon juice and let the sauce simmer on low heat for 5-7 minutes. 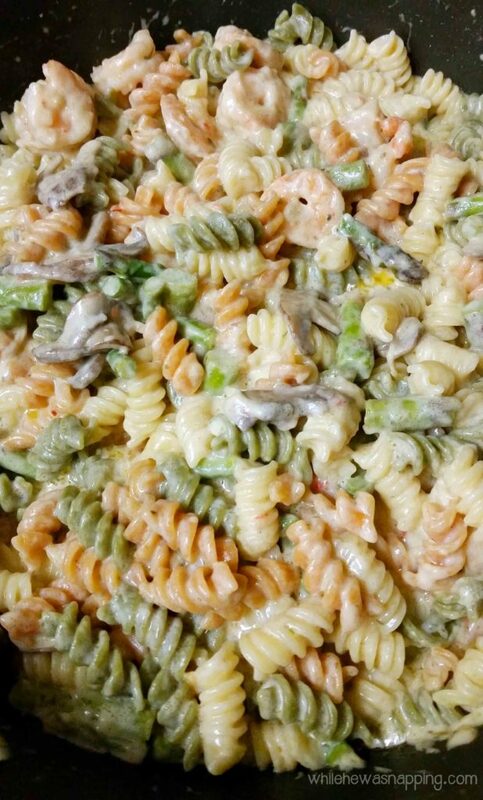 You can add the pasta to the sauce and mix until the sauce evenly coats the pasta or serve the sauce over the pasta.